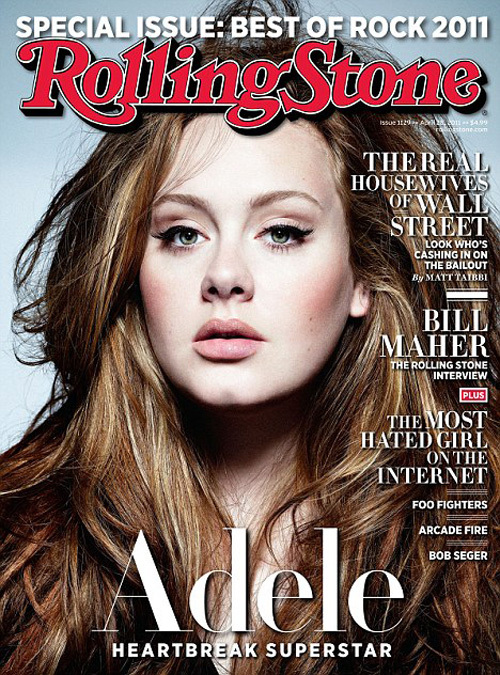 I found this photo of Adele on the cover of Rolling Stone and it really inspired me to share some "Adele Makeup Tips" from what I've observed in her photos and videos. 2. Neutral Shadow or Black Eye Pencil -Adele always seems to have a black eyeliner on her lower lash line or a neutral brown eyeshadow smoked out underneath her bottom lash line. Try MAC SMOLDER black liner or MAC CORK eyeshadow. 3. Soft Pink Blush. Try MAC's Pink Swoon. Adele has light skin, so a soft baby pink looks fresh and youthful. 4. Neutral Lip- I don't think I've ever seen Adele with a super dark bold lip. It's usually always pretty neutral. Try MAC's Half and Half lipstick.